Are you considering moving to Israel? If you are looking for information about the area, and help with your move to Israel, then please allow us to guide you. We will provide you with up to 10 free and personalised quotes from top experienced moving companies who will safely transport your possessions door to door to Israel. Moving to Israel understandably is a task that is best handled by operators who are experienced in this act. This is precisely what we are best at – allow us to help you relocate to Israel in an absolutely relaxed and hassle free manner. We will be glad to give you a free estimate of the costs that you are likely to incur while shifting your belongings and household goods to Israel. Keeping the security of travelers in mind, the security check procedure is particularly tightened at all entrance points while moving to Israel. It is hence important to choose an operator who is familiar with the norms and standards that are considered mandatory by the Israeli customs authorities. The specialized packaging techniques and categorization of household items that must be satisfied by all consignments entering the country are kept in mind while we plan out your move to Israel. In case of pets, the prescribed formalities that are required to complete the quarantine and special handling thereof are also undertaken by us. We have this expertise owing to the extensive services that we have been extending in this sector to several of our valuable patrons including Israeli nationals who are returning to their home country for retirement. The entire process can be set rolling by simply filling out the free estimate form here. If you have a rough idea as to the number or volume of household goods and other belongings that you intend to take along with you while relocating to Israel, we shall get back to you with a realistic and extremely reasonable quote. By receiving an estimate of the tentative expenses that you might face when you move to Israel well in advance will help you plan out the other expenses such as flight tickets and accommodation once you have moved in there. This way you will also have the relaxed frame of mind that is necessary to investigate and carefully plan out your move to Israel – simply leave the shipping to us! We shall ensure that your goods have a journey that is as comfortable as yours to your new destination. We would like to remind you that this is a no obligation free estimate. Since we regularly process shipments of our clients moving to Israel, we have a perfect working knowledge of the exact time lines and possible hold ups and hence know how to go about avoiding them. This also enables us to make a realistic quote since we know the exact expenditure that is incurred on an average, every time our patrons go about shipping to Israel. Over time what we have achieved is the expertise and the skill to ensure that your relocation to Israel is as smooth as possible. Fill out the free estimate form now! Israel, officially known as the State of Israel, is a country in Southwest Asia located on the southeastern edge of the Mediterranean Sea. It has borders with Lebanon to the north, Syria and Jordan to the east, and Egypt to the southwest, and contains geographically diverse features within its relatively small area. With a population of about 7.2 million, the majority of whom are Jews, Israel is the world’s only Jewish state. Wide variety of nations and religions share the land of Israel – not only Jews, but also Arabs, Muslims, Christians and Druze, as well as other religious and ethnic minority groups. The name Israel originated from a verse in the Bible where Jacob is renamed Israel after successfully wrestling with an angel of God. According to linguists, researchers and historians, some possible meanings of the name Israel are ‘God rules’, ‘God judges’, ‘God fights/struggles’, though regardless the precise meaning of the name, the biblical nation fathered by Jacob got the name ‘Children of Israel’, or the ‘Israelites’. Jerusalem is the nation’s capital, seat of government, and largest city. Other big cities are Tel Aviv and Haifa. Israel is home to a variety of geographic features, from the Negev desert in the south to the mountain ranges of the Galilee, Carmel, and the Golan in the north. The Israeli Coastal Plain on the shores of the Mediterranean is home to seventy percent of the nation’s population. East of the central highlands lies the Jordan Rift Valley, which forms a small part of the 6,500-kilometer (4,040-mi) Great Rift Valley. The Jordan River runs along the Jordan Rift Valley, from Mount Hermon through the Hulah Valley and the Sea of Galilee to the Dead Sea, the lowest point on the surface of the Earth. Unique to Israel and the Sinai Peninsula are makhteshim, or erosion cirques. The largest makhtesh in the world is Ramon Crater in the Negev, which measures 40 kilometers by 8 kilometers (25 mi by 5 mi). Temperatures in Israel vary widely, especially during the winter. The more mountainous regions are windy, cold, or sometimes snowy; Mount Hermon’s peak is covered with snow most of the year, and Jerusalem itself usually receives at least one snowfall each year. Coastal cities, such as Tel Aviv and Haifa, have a typical Mediterranean climate with cool, rainy winters and long, hot summers. From May to September, rain in Israel is rare. With scarce water resources, Israel has developed various water-saving technologies, including drip irrigation. Israelis also take advantage of the considerable sunlight available for solar energy; making Israel the leading nation in solar energy use per capita. The State of Israel is divided into six main administrative districts, known as mehozot – Center District, Haifa District, Jerusalem District, Northern District, Southern District, and Tel Aviv District. For statistical purposes, the country is divided into three metropolitan areas: Tel Aviv and Gush Dan (population 3,150,000), Haifa (population 996,000), and Beersheba (population 531,600). However, Israel’s largest city, both in population and area, is Jerusalem with 732,100 residents in an area of 126 square kilometers (49 sq mi). Tel Aviv, Haifa, and Rishon LeZion are Israel’s next most populous cities, with populations of 384,600, 267,000, and 222,300 respectively. Israel’s population, as of 2007, is 7.22 million. Israel’s two official languages are Hebrew and Arabic. Hebrew is the primary language of the state and spoken by the majority of the population. Arabic is spoken by the Arab minority and Jews who immigrated to Israel from Arab lands. Most Israelis can communicate reasonably well in English, as many television programs are in English and many schools begin to teach English in the early grades. As a country of immigrants, dozens of languages can be heard on the streets of Israel. A large influx of people from the former Soviet Union and Ethiopia have made Russian and Amharic widely spoken in Israel. Between 1990 and 1994, the immigration of Jews from the former Soviet Union increased Israel’s population by twelve percent. Israel has a diverse, Western-orientated market economy. As a result of its small size and limited natural resources, Israeli industry is export-driven. The country’s highly skilled and educated workforce concentrates on manufacturing and exporting products with a high added value that are primarily based on technological innovation. These include aviation-related products, medical electronics, agro-technology, computer hardware and software, and fine chemicals. Israel’s major trading partners are the USA, the European Union (EU) and China. High technology is one of the most important industrial sectors in Israel. The country has developed a world-class reputation for technological research and development (R&D). The combination of highly skilled workers and innovative techniques has led to massive foreign investment. In the recent years, over $20 – $25 billion is being invested each year. Investments have increased up to 80% last year only compared to the previous. 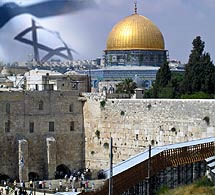 Israel was established as a homeland for the Jewish people and is often referred to as the Jewish state. The country’s Law of Return grants all Jews and those of Jewish lineage the right to Israeli citizenship. Just over three quarters, or 76.1%, of the population are Jews from a diversity of Jewish backgrounds. Approximately sixty-eight percent of Israeli Jews are Israeli-born, twenty-two percent are immigrants from Europe and the Americas, and ten percent are immigrants from Asia and Africa (including the Arab world). The religious affiliation of Israeli Jews varies widely: eight percent define themselves as “Haredi Jews” and twenty percent consider themselves “secular Jews”. The majority of Israeli Jews, fifty-five percent, say they are “traditional,” The remaining seventeen percent define themselves as Orthodox Jews. Making up 16.2% of the population, Muslims constitute Israel’s largest religious minority. Israeli Arabs, who comprise 19.8% of the population, contribute significantly to that figure as over four fifths (82.6%) of them are Muslim. Of the remaining Israeli Arabs, 8.8% are Christian and 8.4% are Druze. Members of many other religious groups, including Buddhists and Hindus, maintain a presence in Israel, albeit in small numbers. The city of Jerusalem enjoys a special place in the hearts of Jews, Muslims, and Christians as the home of sites that are pivotal to their religious beliefs, such as the Western Wall, the Temple Mount, the Al-Aqsa Mosque and the Church of the Holy Sepulchre. Other landmarks of religious importance are located in the West Bank, among them the birthplace of Jesus and Rachel’s Tomb in Bethlehem, and the Cave of the Patriarchs in Hebron. The administrative center of the Baha’i Faith and the Shrine of the Bab are located at the Baha’i World Centre in Haifa and the leader of the faith is buried in Acre. Apart from maintenance staff, there is no Baha’i community in Israel, although it is a destination for pilgrimages. Already decided to move to Israel?